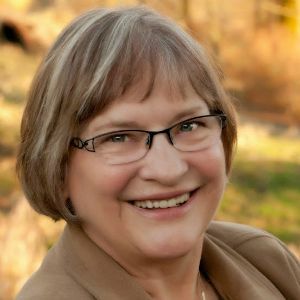 Dianne Astle has worked at a variety of jobs in her life. She has been a draftsperson, a news correspondent for a radio station, a teacher’s aide, and most recently had the opportunity to practice servant leadership in a faith community. Dianne loves fishing, riding horses, and walking with her dog. She lives with her husband Doug, his three cats and her beloved dog Thomas. D.A. 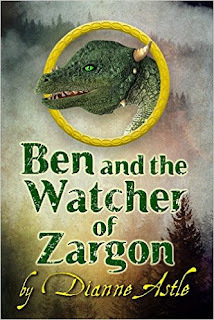 : The release date for Ben and the Watcher of Zargon is September 25th. This is the write-up from the back of the book. Grade ten isn’t turning out the way Ben hoped. His best friend is no longer Ben’s roommate, but has been replaced by a strange boy who follows him everywhere. Jealousy awakens the dragon fire within Ben when the girl he likes returns to school with a boyfriend. That fire and the scales peeking out from under his shirtsleeves are making it difficult to keep his secret. Ben needs to go to his mother’s home world to learn how to transform into a dragon. If the training comes to late Ben is in danger of becoming something that is neither human nor dragon. 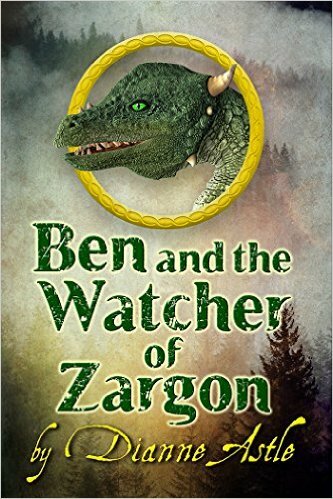 IAN: Is Ben and the Watcher of Zargon available in print, ebook or both? D.A. : Ben the Dragonborn and Ben and the Watcher are available as print and ebooks. They are or will be available through Amazon and I hope to have them available through IngramSpark soon. IAN: Will Ben and the Watcher of Zargon be available for Pre-order at Amazon? D.A. : Yes, it is now at this link. IAN: What motivated you to write? D.A. : I went for a walk with a friend and we both said we would like to write a novel one day. When I said this I didn’t think I would ever do it. My life was rich and full. I wasn’t looking for something more to give it meaning. However, one day the idea for a story came to me. Once I started to write the characters into existence it was too late to turn back. I was in love with them and the world they lived in. I needed to let them live. Sometimes they come and speak to me in the night and I wake up with a smile on my face. IAN: How long did it take you to write your books? D.A. : My first book took me seven years to write. After it was finished, I sent it out to traditional publishers and got some very encouraging rejection letters. More than one publisher kept it for a long time because it was on their ‘maybe’ pile. When I moved and took a new job, I put Ben the Dragonborn on a shelf for another seven years. My second book took me only seven months to write. I am still editing it, but it must be finished by September 15th. IAN: Who designed your book covers? D.A. : The current cover on both my books was designed by photographer and artist, Sean Sherstone. I originally asked Sean to do a Youtube video for Ben the Dragonborn. He did an awesome job and then very kindly volunteered to set up a web site for me. When I was thinking of a new cover he was the first person I asked. D.A. : I do not have a specific writing style. I start at the beginning and write with a vague idea of where I’m going. If I have any writing style it is that I spend a lot of time rewriting and editing. IAN: What were you hoping your readers would come away with? D.A. : I was not thinking of what I wanted my readers to come away with when I first wrote Ben the Dragonborn. All I was interested in doing was telling a good story. However, one of the major themes in the book has been a major theme in my life. A central theme of my life is the importance of being an original and not a copy. I have often been heard telling others to seek the treasure of their own true selves. In Ben the Dragonborn, Ben must discover who he truly is to help a world in need of peace. In the second book, Mack must accept who he is and the destiny that is his and his alone for the sake of all six worlds. In the third book the brownie is on a journey of self-discovery and change which will have an impact on all brownies and two of the six worlds. D.A. : One book that had a profound impact on me was Alexander Solzhenitsyn’s Gulag Archipelago. In Solzhenitsyn’s story of being a prisoner in the Russian Gulag there were people who were true to themselves and the call to love. They often died rather than sacrifice who they were. Other people were willing to do whatever it took to survive. They lived, sometimes at the expense of others, but also at the expense of their own self-respect. They lost an important part of themselves. The Gulag Archipelago communicated to me that the most important thing I can do is be true to myself and what I believe. IAN: What was the hardest part of writing? D.A. : The most challenging aspect of my writing is that I had learning disabilities in school. Not only that, but I was a dreamer off in my own little world when important things were being taught, like where a comma belongs. Correct grammar is still a struggle for me even though I now have a Master’s degree. In my first book I felt that I could by-pass hiring an editor. That was a mistake. The second book has had the benefit of two editors and a creative writing circle. Recently, I took the step of having Ben the Dragonborn professionally edited by Ashee Enz of Clean Edits. I did this even though it was getting glowing independent reviews. I made most of Ashlee’s suggested changes. IAN: What book are you currently reading? D.A. : I am currently reading Kathy Huth Jones most recent release. I am really enjoying Mercy’s Prince. I had to put it aside for the time being because of publishing deadlines, but I can’t wait to get back to it. 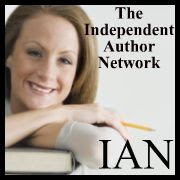 IAN: What new authors have you discovered? D.A. 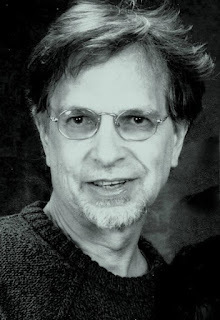 : For a long time my favorite authors have been Terry Brooks, Stephen Lawhead, J.R.R. Tolkien, C.S. Lewis and J.K. Rowling. In the past two years I have discovered wonderful authors among the self-published. Sudan by Ninie Hammon was a particularly powerful and moving story based on real life events. I also really enjoyed Hubris by P.A Wilson, Flight of the Griffin by C. M. Gray, and Aranya by Marc Secchia. It is impossible to name every excellent independent author I have read in the last two years. I need to say that twitter works for promoting books. I would never have considered reading a book about Amish vampires; however, Barbara E. Brink was so creative in her tweeting that I picked up her books and loved them. IAN: Tell us about your next book. Is it a sequel or a stand alone? D.A. : My next book will likely be entitled Moses and the Dragonborn. I have laid the groundwork for it in Ben and the Watcher of Zargon. Ben, his uncle Zinc, Allison, and a brownie named Moses are chosen to go to Farne to rescue Ben’s dragonborn grandfather. If Moses and the Dragonborn unfold as I expect it to, then the most important story line will be about Moses and the brownies. I hope to have this book out by the summer of 2016.